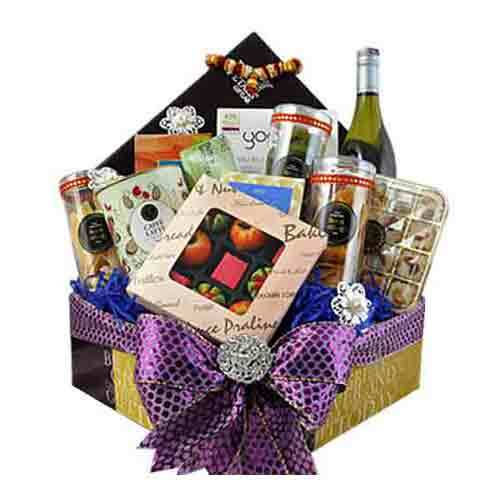 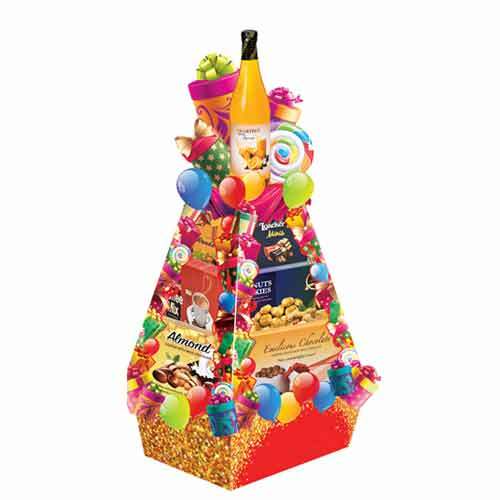 Description: Witness the heart of your dear ones smile when you gift them this Awe-Inspiring Forever Family Gift Hamper and make them feel at the top-of-the world. 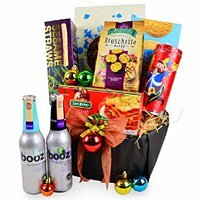 This Hamper is included Chocolicious almond coated with milk chocolate 125g, Marc Canopy premium fruits syrup (non alcoholic) 659ml, Yam Yam cookies 110g, PAGODA Menglembu Roasted Groundnuts 75g x 2, Loacker minis napolitaner cremkakao (product of Italy) 10g x 5, Loacker minis napolitaner cremkakao (product of Italy) 10g x 5, Fruit Point high quality sweets 120g, Freshly Baked peanut cookies 80g, Super 3 in 1 low fat premix coffee 20g x 8, Mix Fruit candy 120g, Kacang Macha onion chips. 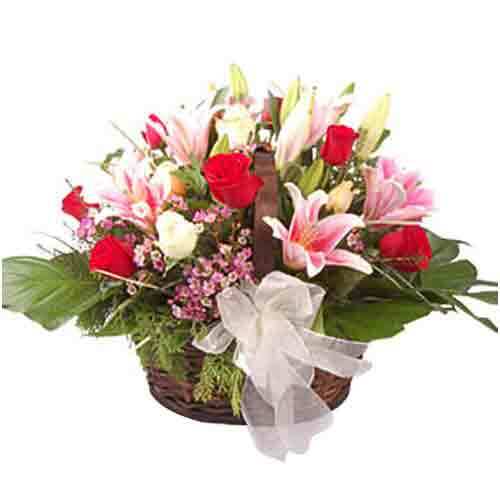 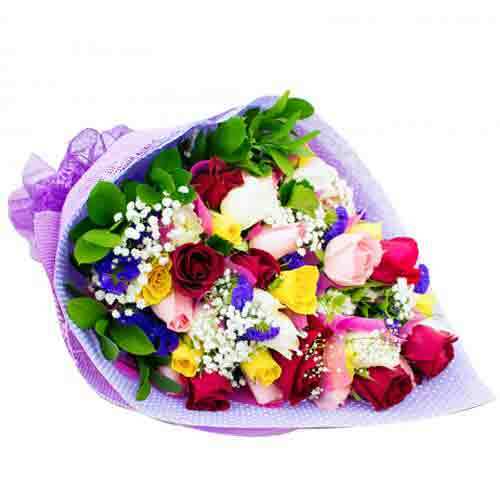 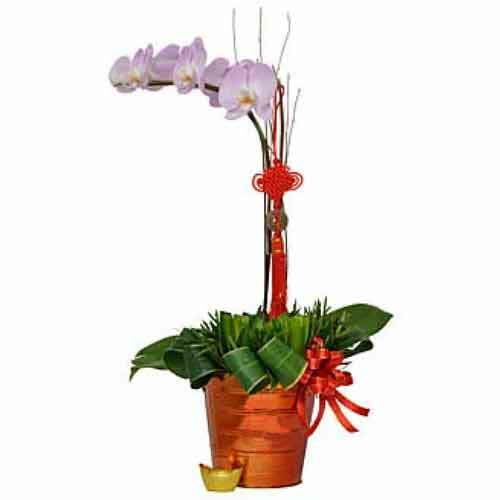 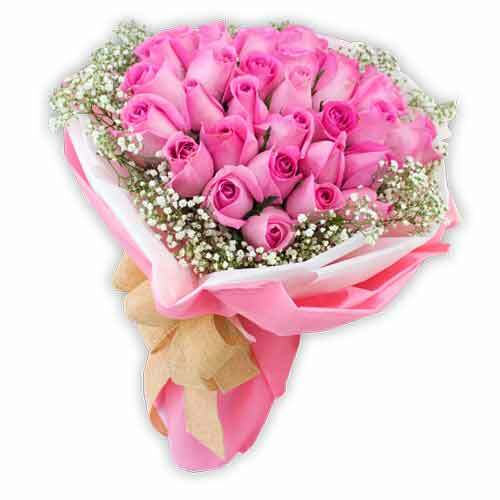 All these are beautifully arranged with attractive Decoration.